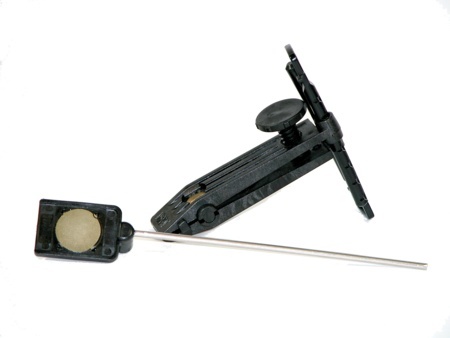 This Accessory Kit converts any Double Sided Diafold® Sharpener into a guided sharpening system. The kit comes with the Aligner™ Blade Guide (ABG) which provides 7-Angle adjustability for the right edge every time, and the Magnetic Angle Guide (MAG) joins the guide and Diafold Sharpener. Both novice and professional will appreciate the Aligner Blade Guide to create precise, professional, consistent sharpening results. It accommodates wider blades as well as standard blade thicknesses. It can also be used for guided sharpening with any bench stone. Easy-to-follow instructions included. Aligner Blade Guide provides 7-Angle adjustability for a professional edge every time.